Fahima Adan says she felt compelled to save a mum and toddler from racial abuse on a train. 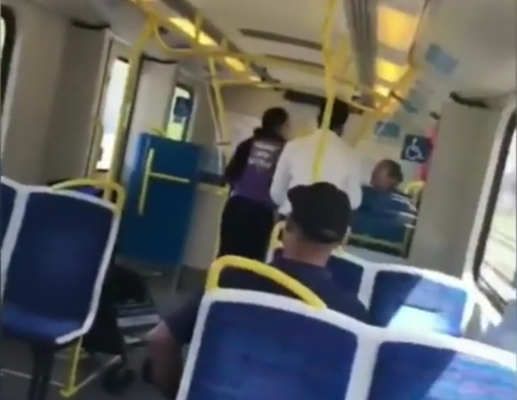 A young train commuter from Dandenong has been praised for her courage in standing up against a racist attack against a mother and toddler. 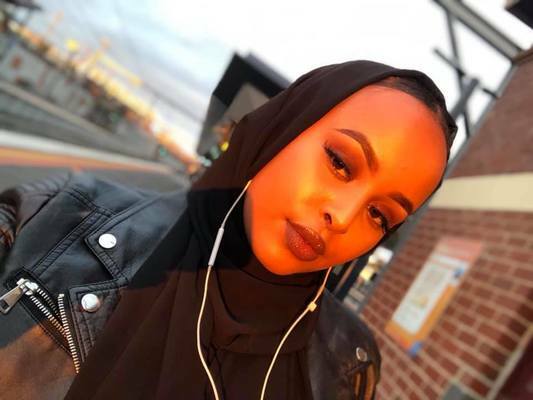 Fahima Adan, 20, bravely stepped in as a woman allegedly shoved and abused the mum carrying her son during the city-bound train service near Westall railway station on 12 January. The attacker accused the Muslim victim of being a terrorist and not being Australian, Ms Adan said. While other passengers sat by and filmed the incident, the woman then turned on Ms Adan. She allegedly grabbed and scratched her arm and tore off Ms Adan’s hijab. “I hate Islam,” the woman screamed at Ms Adan. Ms Adan asserted that she was Australian; the woman retorted that Ms Adan was not. “When my scarf, my hijab was pulled off – it was the ultimate disturbing, disgusting thing to happen to anyone,” a still shaken Ms Adan said. “I don’t feel protected. Even with so many people on the train, I had to protect the lady. Except the day before, Ms Adan suffered an unprovoked attack at Melbourne Central station when a cigarette packet was hurled at her head by one of two males. “I’m still scared. I randomly break down. A 39-year-old Clayton woman has since been charged with assault over the incident. Glowing praise and tributes have poured Ms Adan’s way on social media, as too have further Islamophobic insults. Despite describing herself as shy, she has gone outside her comfort zone and fronted various media to send a strong message. To stop the racist attacks. And back up good Samaritans in the same situation. “Everyone is Australian. Everyone is a citizen. No one should be treated like that and it should be taken seriously. Greater Dandenong councillor Matthew Kirwan wants the council to recognise Ms Adan. Her actions had struck a cord nationwide, he said. They had even drawn surprising praise from right-wing critics on Cr Kirwan’s Facebook page. “People see this is not a topic of debate,” Cr Kirwan said. “They see this sort of behavior in Australia is unacceptable, and we should recognize Fahima for standing up against it. It confirms a VicHealth survey that shows Greater Dandenong bucks the trend in its high rate of multicultural acceptance, he said. Mayor Roz Blades, while “totally appalled” by the attack, was proud of Ms Adan’s intervention.